Wednesday night I installed Snow Leopard on my production machine. It is a 2.4GHz 20-inch iMac that is used for the bulk of my computing. I have been using Snow Leopard for a few months on my MacBook but I try to keep that machine relatively clean, it is mostly used for browsing the web. 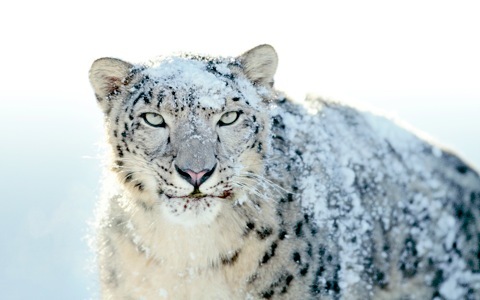 So, up until Wednesday night I hadn’t really been able to spend a lot of time with Snow Leopard. I’ve heard a lot of users complaining that Snow Leopard just isn’t worth the hassle to upgrade, they often compare it to a Windows service pack and wish that Apple had just been giving us these updates all along rather than waiting to release them in one fell swoop. But, here is the problem with this thought, Apple completely rewrote (at least) two major components of the operating system. Finder and QuickTime are brand new, pushing these updates out through Software Update would give people the false impression that there wouldn’t be any hiccups with their software. As most computer users know an OS upgrade is serious business, especially if you have to use your DVD drive to install it. There is a different perception that people have of a new operating system compared to a .x update. Apple needed that upgrade perception because they knew there would be incompatibilities. I’m not just saying that Apple charged for this to cover their butts, because they didn’t. The move from Leopard to Snow Leopard might have been the biggest code change that Apple has done since the move from Classic to OS X. We’re talking about adding some pretty major new technologies (Grand Central Dispatch, OpenCL, etc.) alongside complete rewrites of major applications. For the work that Apple put into this and the changes that have actually been made I believe the hassle and the $29 fee is incredibly reasonable. Granted I upgraded to Snow Leopard 5 days after it was released, but I only had a couple of headaches to deal with after upgrading. Not quite the awful hassle that some users have complained about. One of my 3rd party screensavers (that I wasn’t actually using) was incompatible with Snow Leopard, it was highlighted in grey when I visited System Preferences and when I tried to enable it I was simply told that it was incompatible with Snow Leopard and was asked if I wanted to move it to the trash. The second and final incompatibility was with a couple of AppleScripts that I had built to hide my Time Machine disk from my desktop. When I attempted to run them Snow Leopard told me that I needed Rosetta installed. The fix was simple, I opened them up in AppleScript Editor and re-saved them as an application. At first I thought I might have just been one of the lucky ones, but Jim Dalrymple believes that Snow Leopard is the most compatible release ever. But, now we have the question as to whether or not Snow Leopard was a big enough upgrade to be worth popping in a DVD for it. Although Snow Leopard doesn’t have a lot of user-facing features with all of the new code behind the scenes I’m guessing that you will be glad to have upgraded in a month or so when you start seeing “Snow Leopard only” underneath some newly popular application’s download link.